It is not hard to notice Anton Blidh when he is on the ice as the third year forward is always throwing his body around. A sixth round pick out of Sweden in 2013, the 23-year old has been a nice find for the organization as a physical third line left wing. 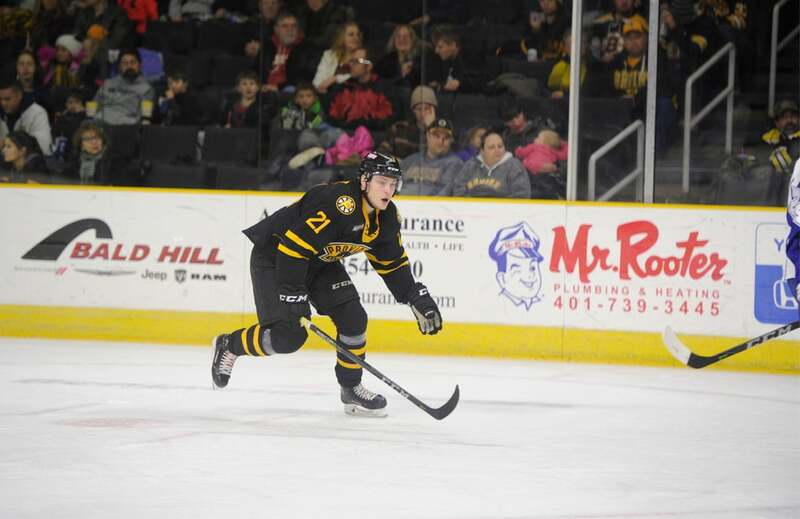 He made his NHL debut last season as a bottom-six forward for the Bruins but spent most of the season with Providence. This season all but one of his games came at the AHL level as he brought his energetic style to the rink every night en route to a career year. Blidh’s game revolves around being an agitator and grinder on the ice. He will take any opportunity to deliver a hit on opponents and isn’t afraid of a confrontation. While he was aggressive and hard-hitting, his style rarely resulted in Providence being shorthanded. He stayed out of the penalty box for the most part as only 10 of his 36 PIM were the result of a roughing, elbowing or charging minor. He had no boarding minors either keeping his hits legal, clean and punishing throughout the season. Offense isn’t the top part of Blidh’s game, but he put up some sneaky-good production throughout the year. Almost always on the third line alongside Colby Cave, Blidh set a career high in goals, assists, points and rating to finish top-10 on the team in scoring for the first time. All but one point from Blidh came during five-on-five situations with the other being a shorthanded breakaway goal to open play in Syracuse. Blidh displayed a nice wrist-shot throughout the season with a majority of his goals coming in that fashion with some space to shoot. 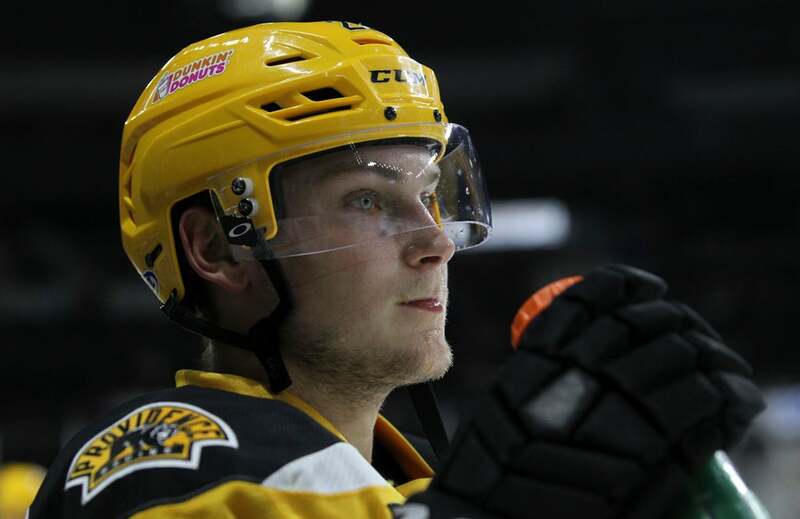 Recently tendered a qualifying offer as a restricted free agent by Boston, Blidh will likely be back in the fold for the P-Bruins during the 2018-19 season. Though he only played one game in Boston during the 2017-18 season, Blidh projects to be a solid depth winger that can immediately step in on their fourth line should an injury occur. 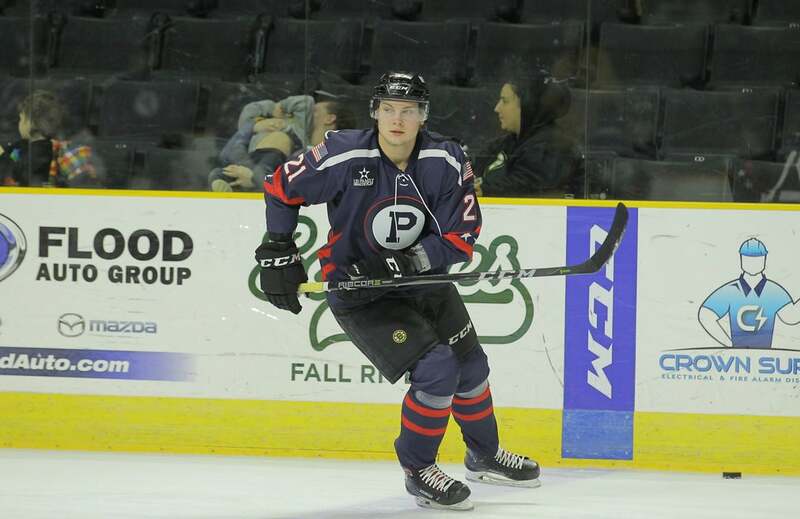 Until his skill-set is needed at the NHL level, Blidh will continue to be a key piece to Providence’s success as a physical, gritty and energetic player.